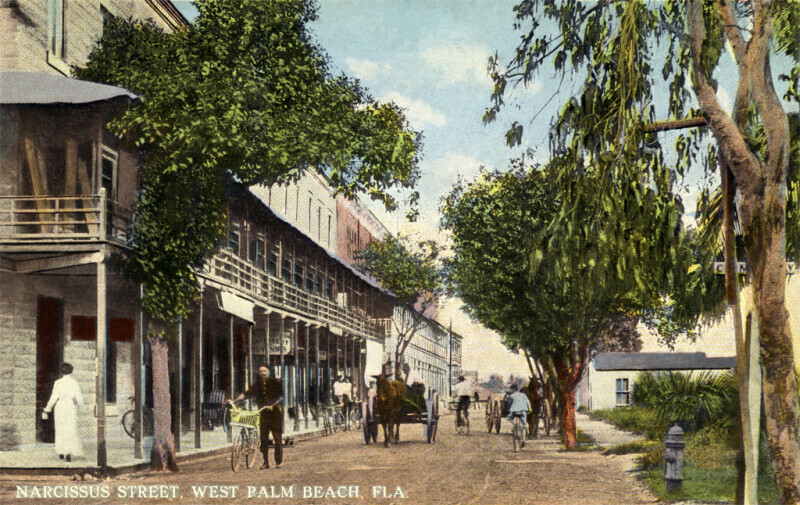 This image shows people walking bicycling, and riding in horse-drawn wagons, on Narcissus Street. On the left side of the street, there are two story buildings. On the right side of the street, there is only one, single story building. The sidewalk on the left side of the street is covered by second story porches, but the sidewalk on the right side of the street is not covered.